Cars contribute only a modest amount of pollution on their own, but there are, according to Yale University, a fleet of 246 million vehicles in the United States alone, making them a potent polluting force in bulk. The amount of greenhouse and poisonous gases released into the atmosphere endangers the environment and causes severe health effects in humans. 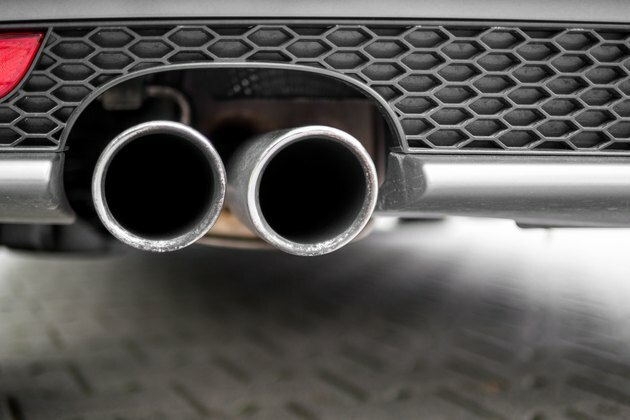 Carbon dioxide and carbon monoxide are the primary air pollutants produced by a car. Carbon dioxide is a greenhouse gas that keeps solar radiation trapped within the atmosphere. Carbon monoxide is a poisonous gas that can lead to health problems, because it prevents blood from carrying oxygen to vital organs of the body. The U.S. Energy Information Administration, the Washington Post reported, found that, after electric power generation, transportation was the largest source of carbon dioxide emissions by direct fuel use between 1990 and 2008, far exceeding industrial, residential and commercial uses. In the United States cars represent approximately 89 percent of the trips made by vehicle, accounting for the largest bulk of pollution. Cars release approximately 333 million tons of carbon dioxide into the atmosphere annually, which is 20 percent of the world's total, according to the Environmental Defense Fund. Motor vehicles also contribute 72 percent of the nitrogen oxides and 52 percent of reactive hydrocarbons. The American Lung Association reports that 30,000 people are killed by car emissions annually in the United States alone. Air pollution also causes numerous respiratory and cardiovascular problems and may exacerbate pre-existing conditions such as asthma. More than half of Americans live in areas that fail to meet federal air quality standards at least several days each year. The Environmental Protection Agency has made a concerted effort in recent decades to reduce the emissions of vehicles. Between 1983 and 1992, routine system checks and oxygenated gases produced during the winter have helped reduce carbon monoxide emissions by approximately 25 percent. Transportation is one of the most tightly regulated producers of air pollution.